The PropertyGuru Asia Property Awards (Malaysia) wrapped up yesterday its sixth annual edition, kicking the leading property portal’s awards circuit into high gear. 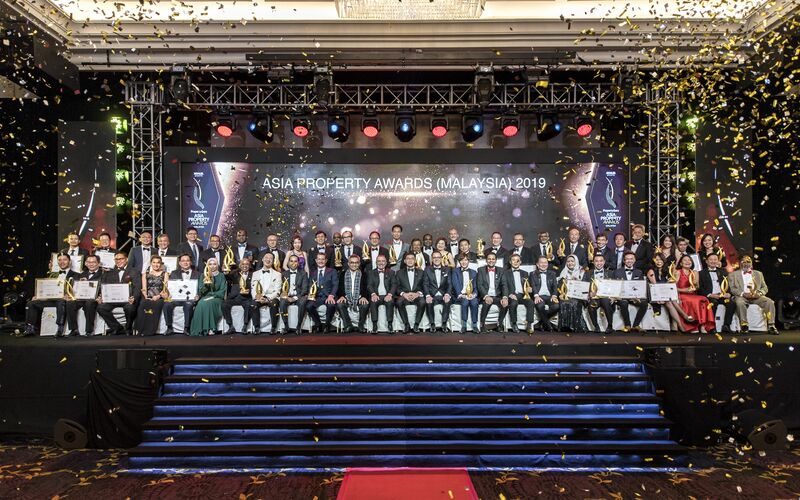 The first event of the 2019 Asia Property Awards, mounted at the Majestic Hotel in Kuala Lumpur, bestowed multiple laurels on one of the nation’s most illustrious transit-oriented developers. MRCB Land collected the night’s highest prize, Best Developer. “Go, go, go Team MRCB,” enthused Raymond Cheah, CEO of MRCB Land, from the podium as he collected the company’s other gongs. MRCB Land also won Best High End Condo/Apartment Development (Klang Valley) for TRIA Seputeh, a residential project in 9 Seputeh in Kuala Lumpur, the latter winning for the company Best Mixed Use Development in Malaysia. “MRCB Land has time and time again incorporated the best amenities for its projects to drive continuous and sustainable growth,” said the judges in a joint statement. The development firm’s win comes as the Malaysian ministry of housing and local government exhorts more companies to take advantage of multi-component projects near transit infrastructure projects. Tuan Hizwan, political secretary to the Malaysian housing minister, opened the gala dinner with a keynote enjoining developers in the room to build more outstanding mixed-use and mass market developments. “Please do not waste this opportunity to show the entire Asian region what Malaysian innovation and dedication can accomplish,” said Hizwan, who also presented some of the night’s top honours. JKG Land Berhad won Best Boutique Developer, on top of other prizes for its outstanding urban green project The ERA @ Duta North. Other well-decorated attendees of the night included township developer Matrix Concepts Group, which won Special Recognition for Industrial/Logistic Development; Venus Assets Sdn Bhd, the team behind the mixed-use Four Seasons Place, Kuala Lumpur; Astaka Padu Sdn Bhd; and Gamuda Land. Former Best Developer winners LBS Bina Group Bhd and Tropicana Corporation Berhad also came back to snag some of the awards’ 28 categories. The jocund gala dinner was staged against a backdrop of consolidation in Malaysia, noted awards chairperson Prem Kumar, executive director of Jones Lang Wootton. “One of the key consolation factors is the clear and definitive acceptance amongst stakeholders, especially developers and financial institutions that the property market is in a period of consolidation. The acceptance of the market slowdown amongst stakeholders will be the main thrust towards a quick recovery of the property market,” he said. Around 500 senior industry figures and members of the press attended the gala ceremony, which was the biggest yet hosted in Kuala Lumpur by PropertyGuru. His Excellency Dr. Aladdin D. Rillo, Deputy Secretary-General for the ASEAN Economic Community, was the VIP keynote speaker at the PropertyGuru Asia Real Estate Summit 2018 and the PropertyGuru Asia Property Awards Grand Final 2018. In his keynote addresses, Dr. Rillo discussed the AEC blueprint, market integration and collaboration, and the built environment in the region. © 2019 PropertyGuru Pte. Ltd. "Asia Property Awards" is a registered trademark.